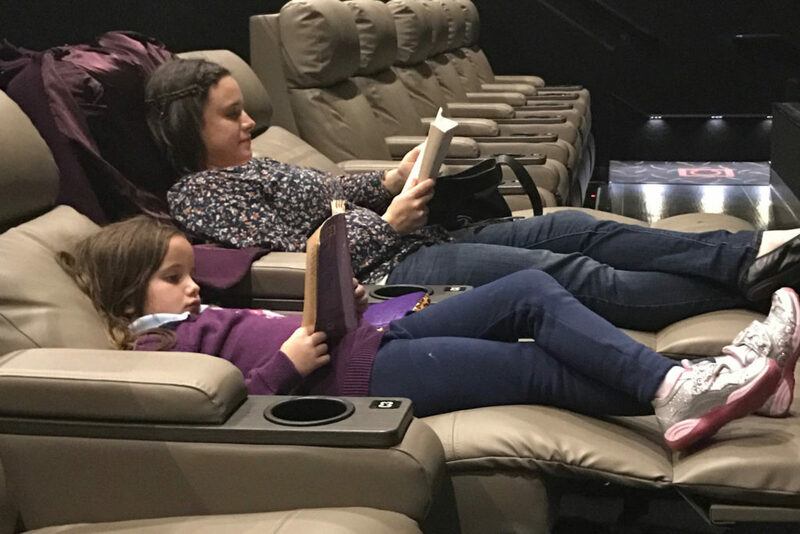 As my kids are getting older and reading more books, we are having SO much fun reading books, then experiencing the movies — or watching a movie and then reading the book. (Or sometimes, we are reading books at the movies – ha!) Friday is family movie night in our house, so we are always looking for good family-friendly movies to watch. Books that have been turned into movies usually fit that criteria. I always love discussing comparisons with the kids between the book and movie once we have consumed both. It prompts thoughtful conversation as a family. What did you like better in the book? What did you like better in the movie? What did you think of the casting? Did the characters look and act like you expected? What did you wish had been in the movie that was in the book? Did the movie make you appreciate the book more? If so, how? I am always amazed at the details my kids remember from the books – sometimes more than me. When we go to the movies and see a preview for a movie that is based on a book, we have been in the habit of committing to reading the book before it releases. A great example of this is A Wrinkle in Time. After seeing the trailer earlier this winter, I ordered the movie tie-in book for us to read together ahead of the movie’s premiere on March 19. During the Golden Globes, a new trailer released (see below), which got me more excited to get this book read with the kids. The visual effects look so stunning. Like A WRINKLE IN TIME on Facebook. | Follow A WRINKLE IN TIME on Twitter.| Follow A WRINKLE IN TIME on Instagram. Does your family love movies based on books? I LOVE reading books and seeing movies too. My son (age 7.5) and I also read Wonder and then went to see the movie. We did discuss it afterwards, but not quite as structured as it sounds like you all did. I’ll have to do better next time. I have reserved A Wrinkle in Time from the library – the original version for me, and the graphic novel to read with my son. We’ll see how that goes. I had huge plans for reading Harry Potter with him before watching the movies, but my husband and I couldn’t wait. We showed him movie 1, then read the first book, and then we just kind of binged on the other movies. Oops. We’re reading some of the books here and there, and I hope to do a complete read as he gets a little older.